The vast majority of people who gamble do so safely and responsibly. For those with concerns around the time and money they spend gambling, making a commitment to stay away from services and premises can be of great help. All licensed gambling businesses have to have their own self-exclusion arrangements to help those who decide to self-exclude. They all also have to sign up to “multi-operator” schemes that allow the public to self-exclude centrally with more than one operator. Our scheme allows people to self-exclude from betting shops, generally ones close to their homes, place of work or where they socialise. Betting shops are open to all adults so the scheme is based on people submitting photos that can be shared with operators to help staff recognise someone who has self-excluded and intervene if he or she breaches that undertaking. The scheme is customised to registrants’ needs and habits. By identifying the betting shops someone uses or might realistically try to use we can get information to all the relevant betting shop operators. The registration process is telephone-based. Registration calls allow our staff to customise an exclusion to the needs of the caller. This website explains how this works, provides contact information including an electronic booking system and sign-posts other schemes and agencies whose support might be a help. The ultimate responsibility for sticking with a commitment to self-exclude rests with those who register. 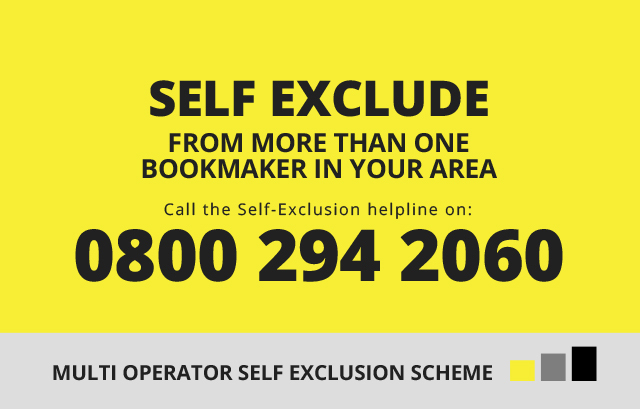 Our scheme helps by allowing people to self-exclude from more than one operator and several betting shop locations with a single call and alerting operators so that can play their part helping people stand by their commitment.